This RCC club ride explores Maple Valley and offers a genuine treat mid-way. Leaving Renton's Ron Regis Park, the route will take you East before heading South to Black Diamond. After a snack or lunch at the Black Diamond Bakery, it's time to head west for a bit before turning north through Maple Valley to get back to the start. After the ride, we'll meet up at the Maplewood Golf Course for food and drinks. 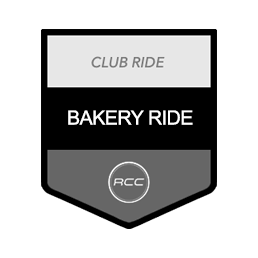 Bakery Ride is an RCC Club ride. If you're not an RCC Member, you can take part as a guest if you know an RCC Member and have filled out an RCC Ride Waiver. Guests are encouraged to join us on club rides! Riding with us is a great way to determine if you'd like to become a Redmond Cycling Club member. For more information about RCC membership, click here.